The Sheffield City Region Access to Finance Centre of Expertise (SCR AFCOE) is an important element of the City Region Business Growth Hub. It has been established to support businesses that are looking to expand and require finance in order to do so. SCR AFCOE helps coordinate access to various backed finance products and also facilitates access to the SCR’s Business Investment Fund. This fund has recently been expanded and now encompasses R & D activities. 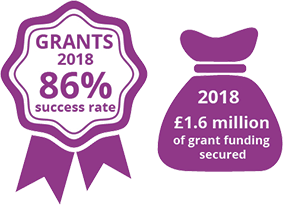 Over the next 5 years, the Business Investment Fund has £26m to invest across the Sheffield City Region with around £5m available for investment between now and March 17. Organisations must be based in the Sheffield City Region and paying business rates to one of the 9 Local Authorities in the region or from businesses looking to relocate into the area. Capital expenditure only: The grant cannot be used for working capital or training. The project to be progressed using the Business Investment Fund grant must create new jobs. Minimum grant size £25k, no maximum. But State Aid Guidelines must be adhered to eg 30% max for SMEs in Assisted Areas, 20% for SMEs in Non Assisted Areas and 10% for large companies in Assisted Areas. Applicants must be able to demonstrate that their project would not go ahead in the SCR either as quickly or to the same scale without grant support. • The delivery of the investment fund should not be seen as a typical grant application process. The starting point for all businesses will be a conversation about their finance requirements and how these could be met through a range of public and private loan, equity and grant options.